Expedia is currently featuring some great “Pack & Go” deals on Carnival cruises from Galveston. This is a short term offer and you’ll need to book your cruise by May 2, 2016 to get these special rates. The offer is good for select sailings departing now through August 31, 2016. 7-night Western Caribbean Cruises aboard the Carnival Freedom starting at $409 for inside cabins, $519 for Oceanview, and $689 for Balcony. 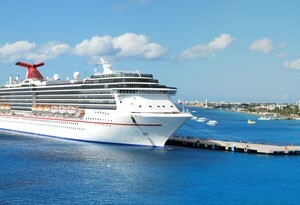 Ports of call in Montego Bay, Jamaica; Grand Cayman, Cayman Islands; and Cozumel, Mexico. Departures: May 21, 28, June 18, 25, July 16, August 13, 20. 7-Night Western Caribbean Cruises aboard the Carnival Breeze starting at $419 for inside cabins, $559 for Oceanview, and $656 for Balcony. Ports of call in Cozumel, Mexico; Belize City, Belize; and Roatan, Honduras. Departures: May 29, June 26, July 24, August 21.